Home > Featured > Do You Know Why Zomato’s New Cheeky Ad Campaign Has Surprised Everyone? December 2, 2017 Kajal Thakur1015Leave a Comment on Do You Know Why Zomato’s New Cheeky Ad Campaign Has Surprised Everyone? Hi, readers or my lovely foodie readers! I know why are you here, must be wondering over a word Zomato! Well, this is not what you are thinking, Zomato is this time in news for the new cheeky and witty creative advertainment campaign that is grabbing every foodie’s attention, and more so even non-foodies are excited too. Well, many of you have crossed the paths of your city where you have witnessed some cheeky billboards with pop cultural evidence, witty hoardings with Bollywood puns and hilarious rhymes. I know, the world is voting it on the parameter, where some consider it as a clever ad campaign while others take it as an offensive campaign. Now, the turn is yours, have a look at the picture here and decide whether it is the sharp business method or instigating emotions! #Oh Beard Boy Thinks It Cheap! #Why sexism is alive and kicking? Can you give the answer to it? 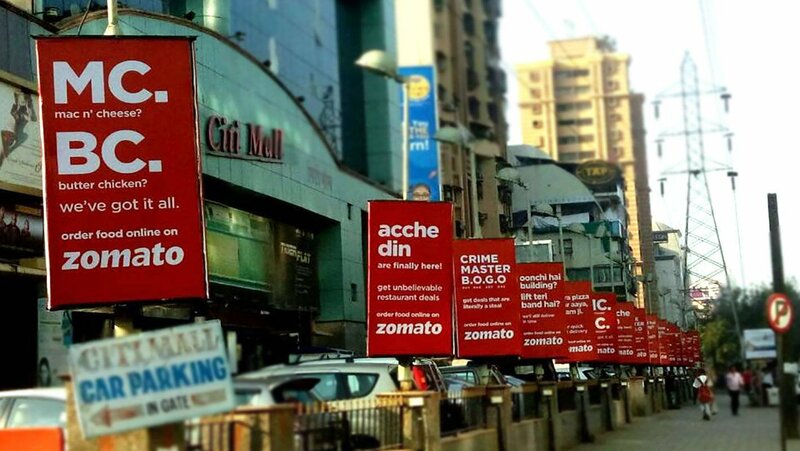 So the PR bandwagon of Zomato's new outdoor campaign is rolling. Expectedly, it ignores the outrage against its MC BC creative. #Ohh yee.. its cheap! But what’s not? #And, his speech is outrageous too! Thank God, still this kind of people alive on land, who take it in a chill way and have come in support of the ad! #And, we like your attitude man! So what do you think about Zomato’s latest ad campaign? Well, if it is not that good but the truth is, the campaign is actually successful! Thanks for reading the story! Stay connected to Pepperfeed for more such updates! Do You Know Who Had Stolen Old Indian Jewellery From Venice Exhibition?